Cash for Cars Adelaide buys cars Adelaide wide, SA for top cash. Get a cash quote by contacting us today. Fill out our online form at the top right of this page. Top cash paid instantly at the time we remove your car. Can you think of a better way to sell your car, truck, van, 4×4, SUV, or bus? That is the way at Cash for Cars Adelaide. 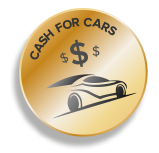 We are car buyers in Adelaide, SA that pay cash for cars of all makes & conditions, putting instant cash in the hands of our customers. Cash payments up to $9,999. Our standard policy is to make quotes over the phone or online, and then come to the locations of our customers in Adelaide, SA to buy & remove their cars. With us, you don’t have to waste time trying to find a buyer for your used, damaged, accident, wrecked, salvaged, fire, flooded, scrap, or old car. All that you need to do is to contact Cash for Scrap Cars Adelaide, and we’ll buy the car for cash. As we said, we buy all makes and conditions of cars. No demand for your burnt out Toyota? Give us a call. Can’t find a buyer for your Mercedes Benz that will offer you more than a couple of thousand dollars? Give us a call. Perhaps, you don’t think your old Subaru is worth the cost of repairs. Give us a call. Your car can be of any make and any condition, wanted or not, and we’ll make you an offer. We pay cash for cars of every make and condition. 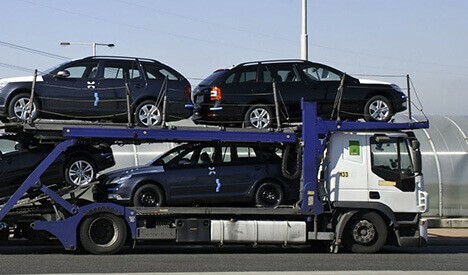 One of the perks when you sell your car to us is that you will receive a fast and efficient car removal Adelaide, SA. We buy cars and come to the locations of the owners anywhere in Adelaide, SA. With our quick and convenient car removals, you let us know a time that is good for us to arrive to buy & remove the car. We will arrive with the paperwork and cash to buy the car! At Cash for Cars Adelaide, you have an auto wrecker and recycler in one; so, the value of your car is maximised. Unlike some wreckers that pull parts and then the car sits on an open plot polluting the environment, we pull parts and then recycle the remainder of the car. With our disposal process, your scrap, damaged, old, or wrecked car has an optimal value. Get free car wreckers and recyclers with Cash for Cars Adelaide. You won’t get a towing bill, or the price of your car cut into when we buy your car. Nor, do we charge for the wrecking or recycling of the car. We simply put cash in your hand. To obtain a cash quote, contact us at the number below or complete our "Get a Quote" form at the top right of this page.